We had a great rewards dinner last night! Annually, we encourage people to read/listen through the Bible and then gather to celebrate with those who at least read through the New Testament. Some read/listen through portions of the Bible multiple times. As we reflect on the accomplishments of last year and set goals for this coming year, it is always very inspiring to see the time and effort being extended to spend time in God’s Word. His Word is an eternal treasure! Colleen shared a meaningful fable last night that was impressive. It was about a man who was instructed to pick up pebbles, and in the morning he would be both glad and sad. Sure enough, in the morning when he found out that the pebbles he had gathered had turned to gold he was both sad and glad. He was glad for the gold but sad that he hadn’t picked up more. Colleen also shared a true story about acres of diamonds. A farmer in Africa heard of a place in India where he could find valuable diamonds. He sold his farm and went to India hoping to become very rich. He was disappointed when he didn’t find any diamonds there, and eventually became so depressed and discouraged that he committed suicide. Meantime, as the man who purchased his farm was tilling his land, he kept coming across rocks he kept throwing aside, thinking them to be a nuisance. Once, he took one of them to his house and placed it on his mantle, as an ornament. A visitor was enraptured with it when he saw it sitting there on his mantle, exclaiming that it was a diamond. 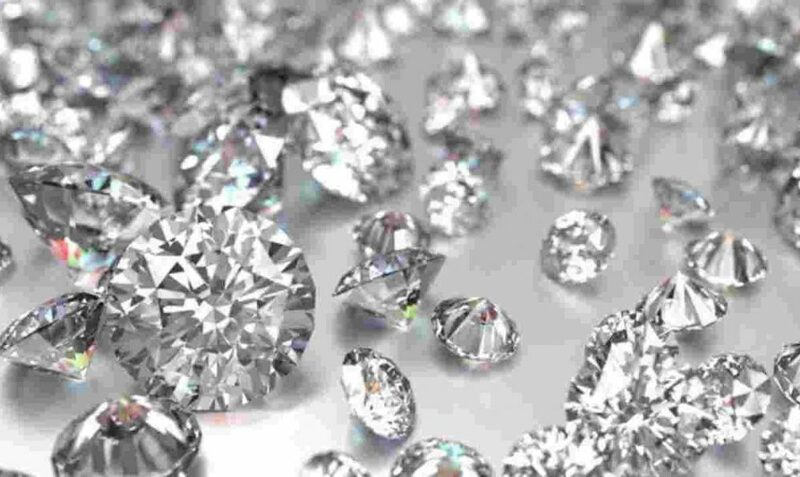 Upon investigation, they found that it was truly a diamond, worth around $25,000 – a great sum of money at that time. That field turned out to be one of the most famous diamond fields in the world, and a very valuable piece of land. If the poor farmer who had sold his land so cheaply had only known how valuable it was, and the diamonds that he was searching for were right there under his fingertips, what would he have done? There are many who don’t realize the eternal value of God’s Word. They don’t treasure it, and are ignorant of it’s true value. They are often disappointed when they search for treasure and pleasure in other places, unable to find what they are really looking for. Let’s not get distracted with a quest for worldly treasures. Let’s dig into God’s Word, His wonderful gift to us. As we do that, we can experience great delight as we discover the priceless treasures, and precious promises He has made available to us!